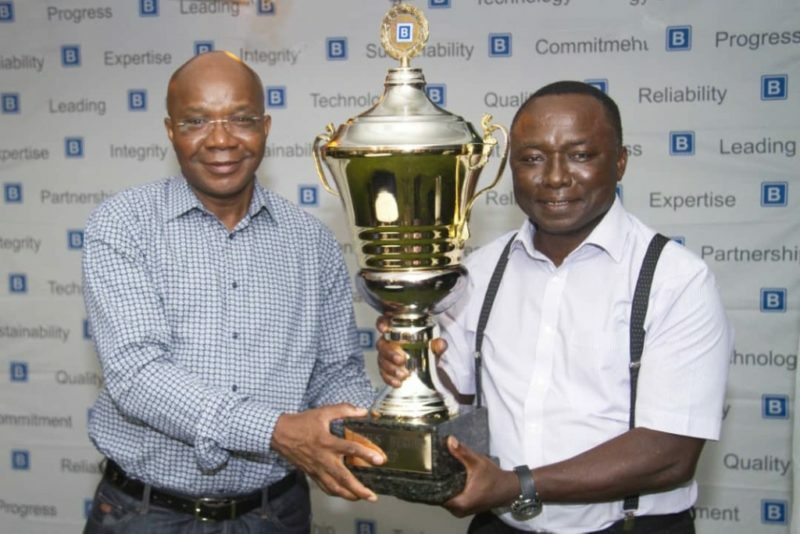 United Kingdom-based Pilot, Tony Yusuf-Adam has won the overall prize at the Julius Berger 15th Invitational Golf tournament which held on Saturday at the IBB Golf and Country Club Abuja. Yusuf-Adam who is an international golfer won the tournament with a 77 gross at 42 points and was presented with the overall winner’s trophy at the tournament’s dinner by the Chairman of Julius Berger, Mr Mutiu Sunmonu. The new Managing Director of Julius Berger, Dr Lars Richter, was also present at the well-attended ceremony. Other prizes won at the tournament include the Longest Drives for men which was won by O. Ogali at a shot of 256metres, while A. Wilfred won the Long Drives for women at a shot of 188 metres. Nearest the pin for men was won by V.O Adedipe at 8ft, and for women was won by Judith Wagner at 8ft. The 1st place for Ladies Division 2 (Handicaps 19-36) was won at handicap 27 with 38 points by F. Anyanwu, while the 1st place for Ladies (Handicaps 0-18) was taken at handicap 17 with 35 points by J. Ayu. In the Veteran men category, the 1st place was won by B. Afolabi at handicap 14 with 36 points. In the Men division 3 (Handicaps 19-28) category, the 1st place was won by Spain Bruce at handicap 20 with 42 points closely followed by the South Korean Ambassador to Nigeria, Lee Intae at handicap 20 with 42 points.